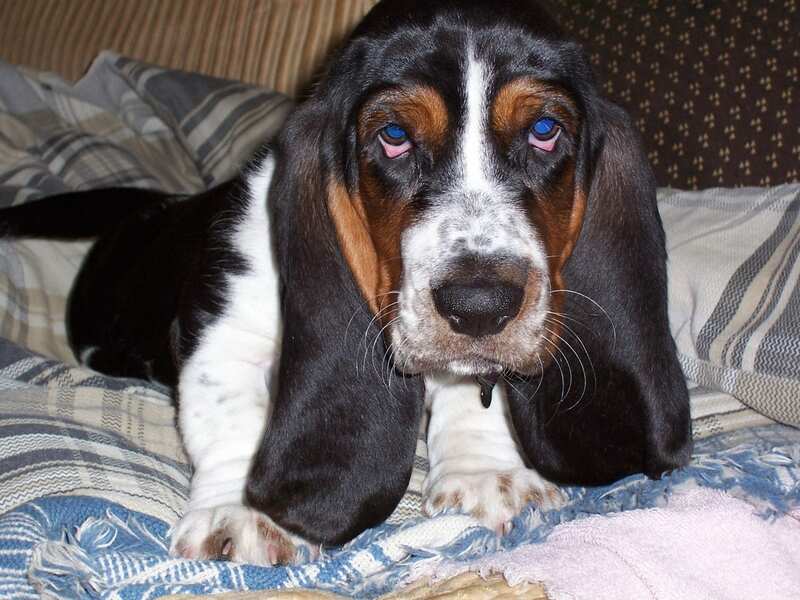 View answers to some of the most commonly asked questions about our Basset Hound Puppies and European Basset Hounds, below. Have more questions? Please use our contact page to send us a message or give us a call! 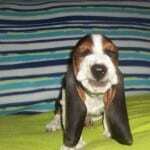 European basset hound or American? What is the difference? What about Air shipping? Delivery? Unfortunately we do not offer Air shipping. We prefer that you come to our home to pick up your basset hound. 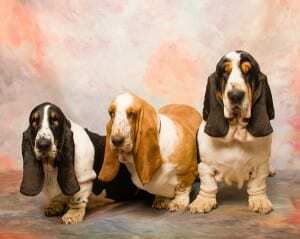 It gives you the peace of mind to know how they are cared for and see how they have been raised,and it is always important to us, as well ,to meet the new owners of our basset hound puppies. However, We can personally deliver your puppy to you for a fee to any of our surrounding states on the East coast. Let me know if you are interested in learning more about that option. Our goal is to keep our puppies safe and free of unnecessary stress. If we deliver the puppy to you…we will have the opportunity to meet in person. 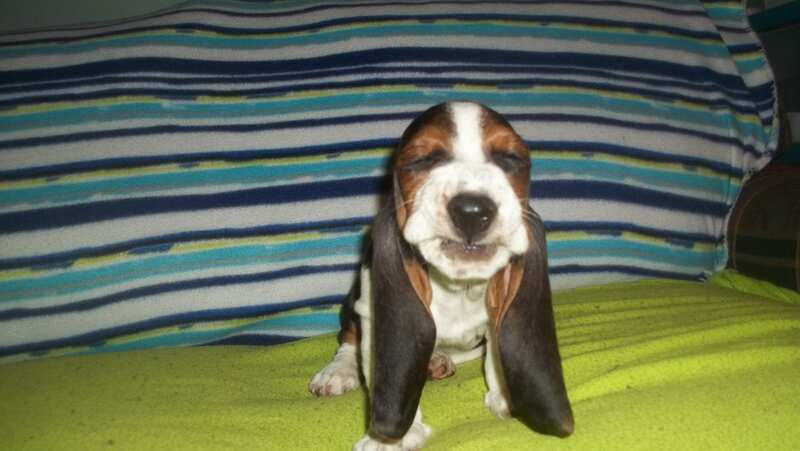 Nobody will have to worry about the basset baby being alone or stressed and afraid in cargo on a airplane. I personally have not had bad experiences with air shipping but it is our preference to hand deliver our precious cargo. Only if you absolutely cannot make the trip to our home. The price of our puppies is determined by the parents . All of our upcoming American litters will be $800 – $900. Our prices will vary with the Europeans depending on the parents of the litter . All of our European litters will be higher. $1300-$1800. The cost of importing and purchasing one of these dogs is not cheap…but they are worth it. 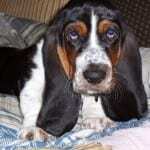 When our females are bred…we will post who has been bred on the upcoming litters page. All of our puppy prices are for limited registration except the litters that are ckc registered. They are full registration, however that is not a reason to put off spaying or neutering your puppy when it is age appropriate . We only have a few dogs that are not akc registered. However if one of the parents are AKC registered and the other parent is CKC registered…the litter will be registered with the Continental kennel club. Our AKC litters will have full registration available only to select homes. for an additional fee. All of our dogs are beautiful purebred basset hounds of Quality . The prices ,the origin, the colors , the size, pedigree and registration may vary but the end result is the same. A beautiful, loving , healthy ,happy basset hound raised in a home environment (not a kennel),extremely socialized and people imprinted. Our pricing is very fair, and I assure you that we are not in this for the money. The cost of medical care, planned C-sections, emergency C-sections, x-rays, proper nutrition , vaccines, wormings, special diets, heartworm prevention, flea and tick prevention, artificial insiminations and breeding soundness exams ,vitamins ,annual exams not to mention the other vet expenses that are unavoidable……are a-lot but it is because we love our dogs and puppies that we are willing to pay the price. Raising basset hounds for us is purely a labor of love ,and the health and happiness of our basset hounds and their puppies is our priority. The money we receive for our puppies goes into a dog account to continue providing our dogs and your potential puppies with the best care possible.